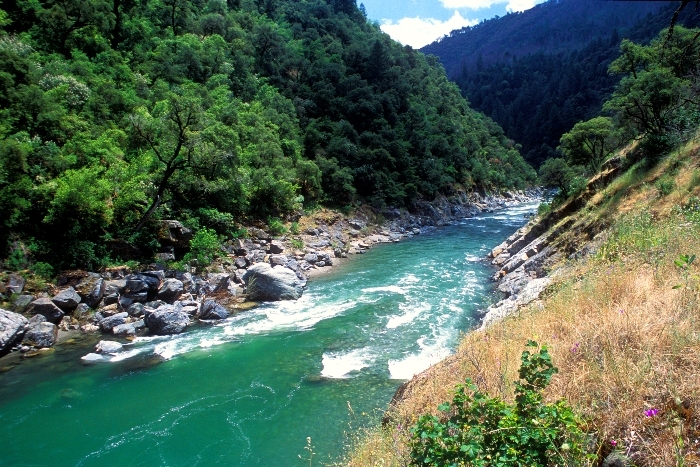 AO Blog > California Rivers: Flows, News, Events > North Fork American > Mark Reiner Photography: New Pictures From 2005 Whitewater Rafting Season! 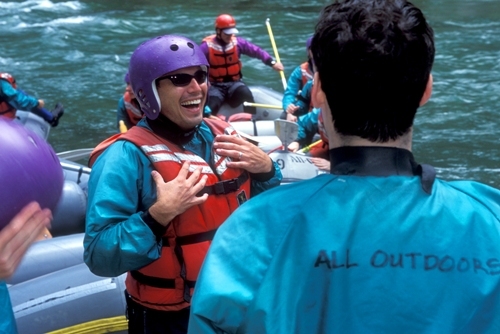 Mark Reiner Photography: New Pictures From 2005 Whitewater Rafting Season! Yesterday, at 12 noon, they were finally revealed… Mark Reiner‘s collection of photos from the 2005 rafting season! 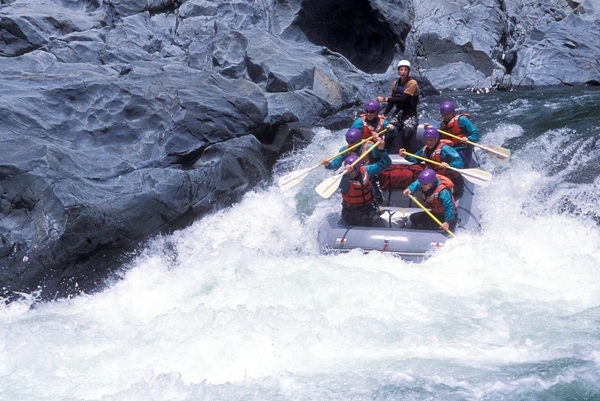 All of us guides and some of our guests from this last summer may have noticed that Mark Reiner, a fellow guide and professional photographer, was working hard all season to document rafting trips on all the rivers that All Outdoors runs. (A few people took so much notice, in fact, that they completely forgot about paddling in order to model the perfect smile or paddle-in-the-air-wahoooo… Mark did a great job of catching their ensuing swims.) Ever since then, we’ve all been waiting with much anticipation to see the final product. Harder work than one may think, Mark spent many days sifting through thousands of slides, selecting the best pictures, and then scanning and color-correcting those on his computer. The result was well worth the wait! A few of us had the pleasure of seeing his first slide show yesterday at the All Outdoors property in Lotus. We laughed, we cried, we hugged. It was beautiful. Unfortunately, it is much too big a project to showcase in its entirety here on this humble blog. So, I’ve decided to break things up into sections, picking out a few of my favorites from each river and sharing them in weekly blogs. Soon, they will be uploaded to an All Outdoors Photo Gallery, so you can view the whole collection at once. (I’ll keep you posted on that one.) 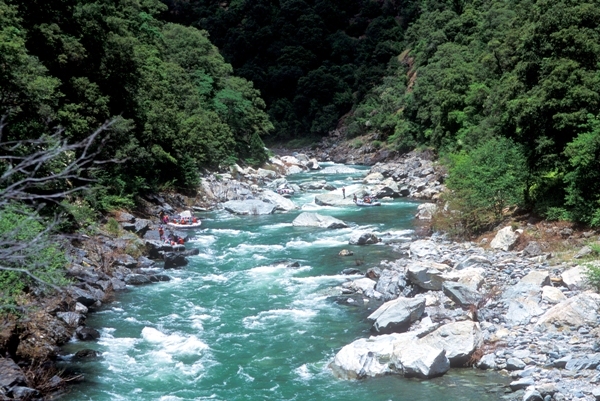 This first set is from the North Fork American River, as it is the first of our Spring runs to get going and also the first to dry up… so if you like what you see you better get out there fast!